The most famous electric locomotives in the world, extraordinary machines that have written railway history. 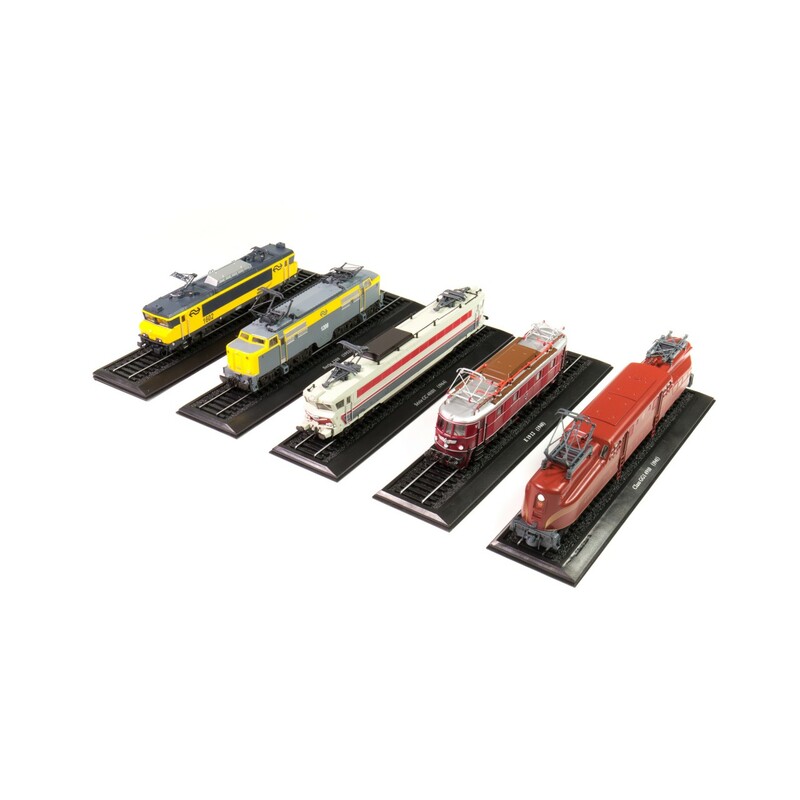 This collection comprises H0 scale models (1:87) of locomotives like the Swiss Crocodile, the French CC 40100, the American GG1 and the elegant German E 10.12. 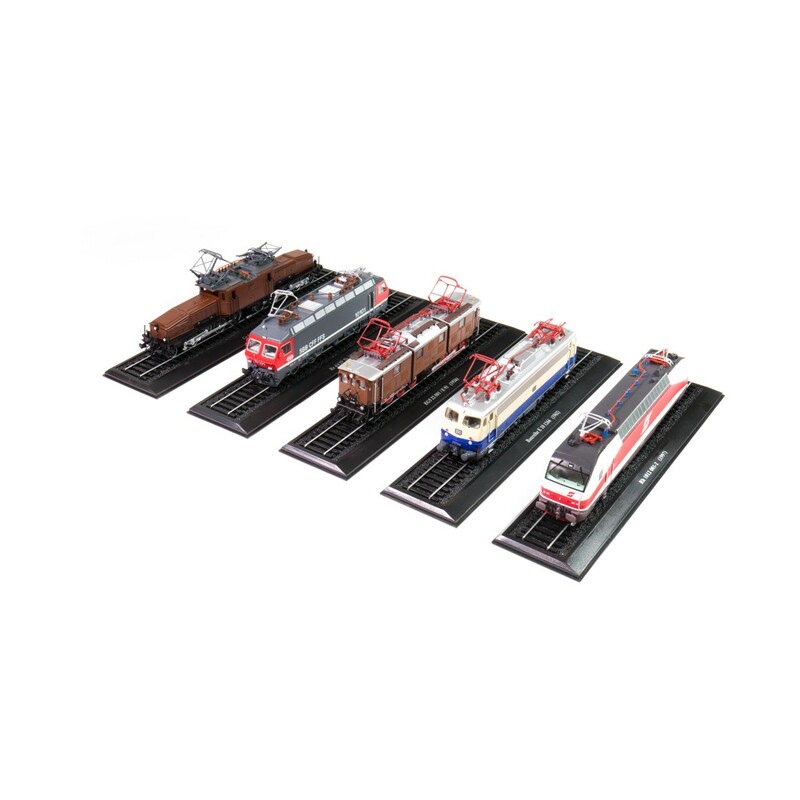 High quality models made of metal, rich in detail and with colors faithful to the originals. 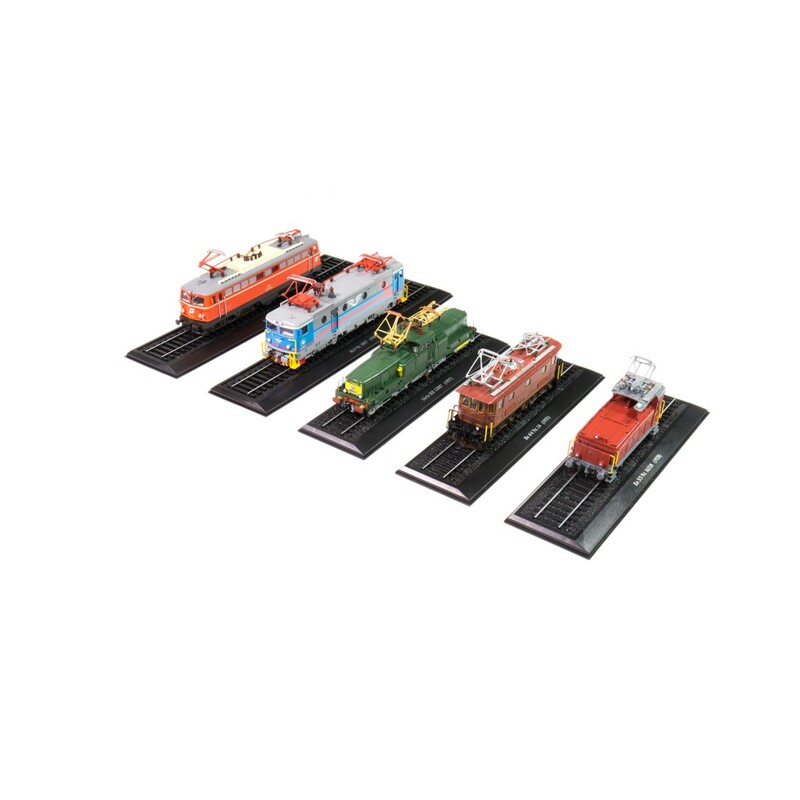 The collection, available in a limited number of pieces, ideal for railway modeling enthusiasts and collectors. 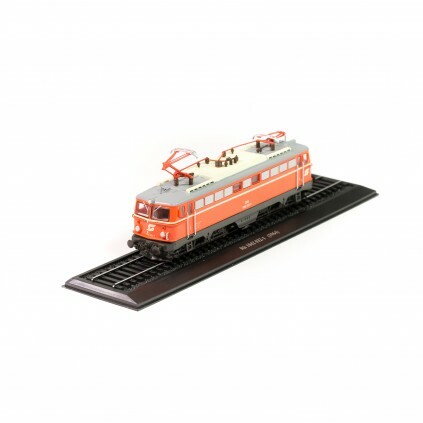 SBB CE 6/8 CROCODILE: The legendary Crocodile, the most famous Swiss locomotive designed to travel on the steep routes of the St. Gotthard Pass. 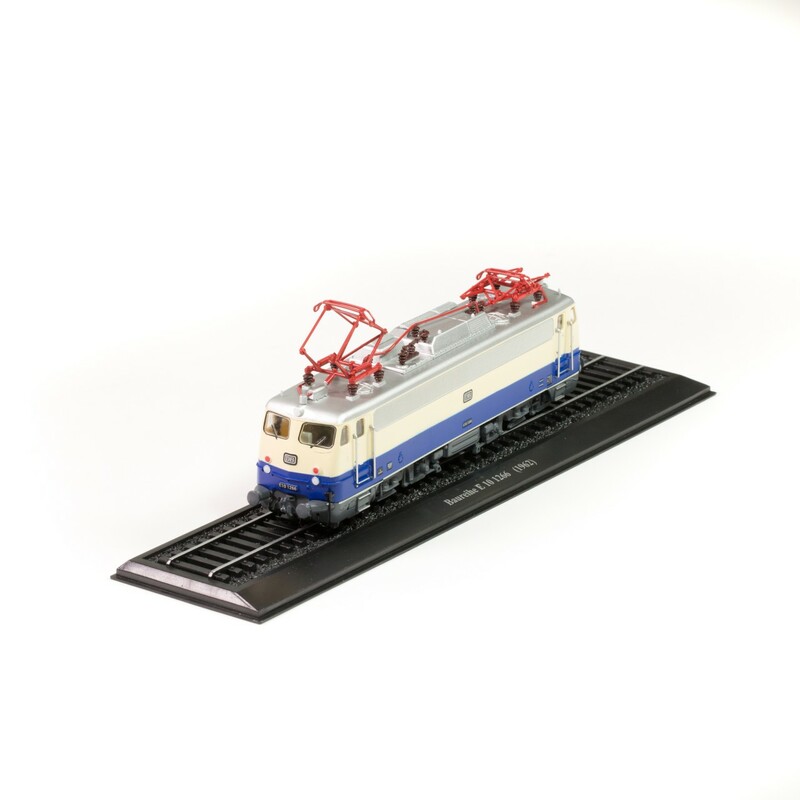 Model made of metal, H0 scale (1:87). Complete with display base with tracks, transparent display case and box. PENNSYLVANIA RAILROAD GG1: The gigantic American GG1 4910 from 1941 was over 24 meters long and had ten axles. Model made of metal, H0 scale (1:87). Complete with display base with tracks, transparent display case and box. SNCF CC-40100: Famous French locomotive from the 1960s, with sloped nose and front windscreen. 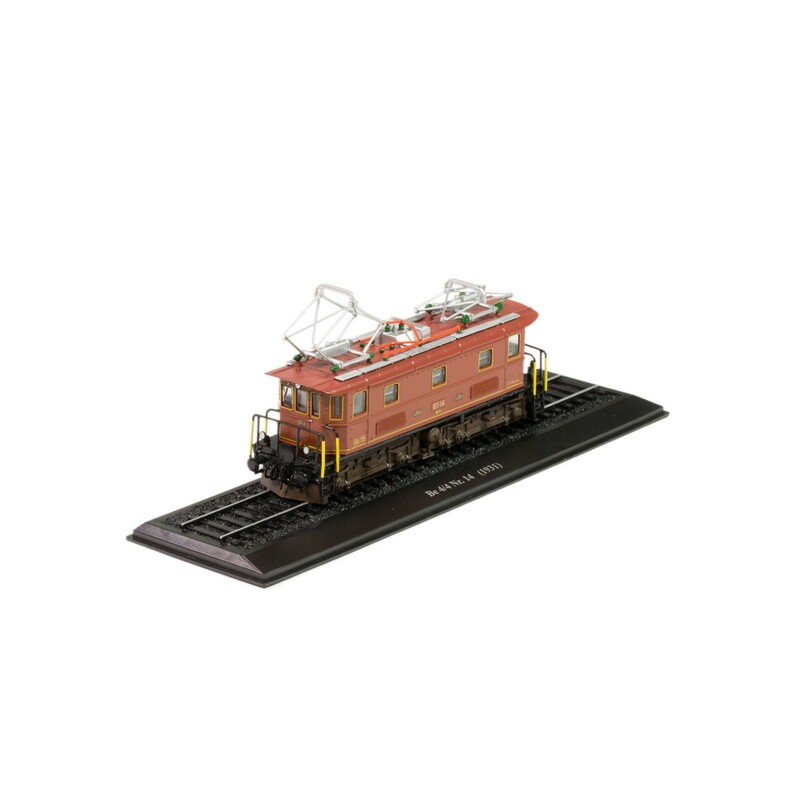 Model made of metal, H0 scale (1:87). 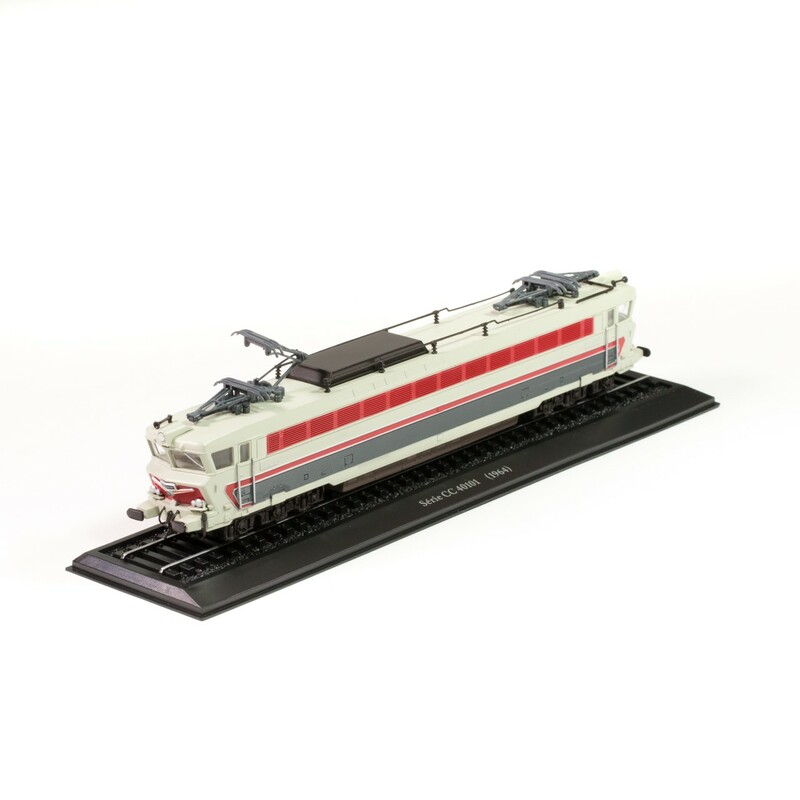 Complete with display base with tracks, transparent display case and box. DR E 19: Enhanced versions of the E 18, the four E 19 locomotives built from 1938 to 1940 were for many years the fastest German electric locomotives. 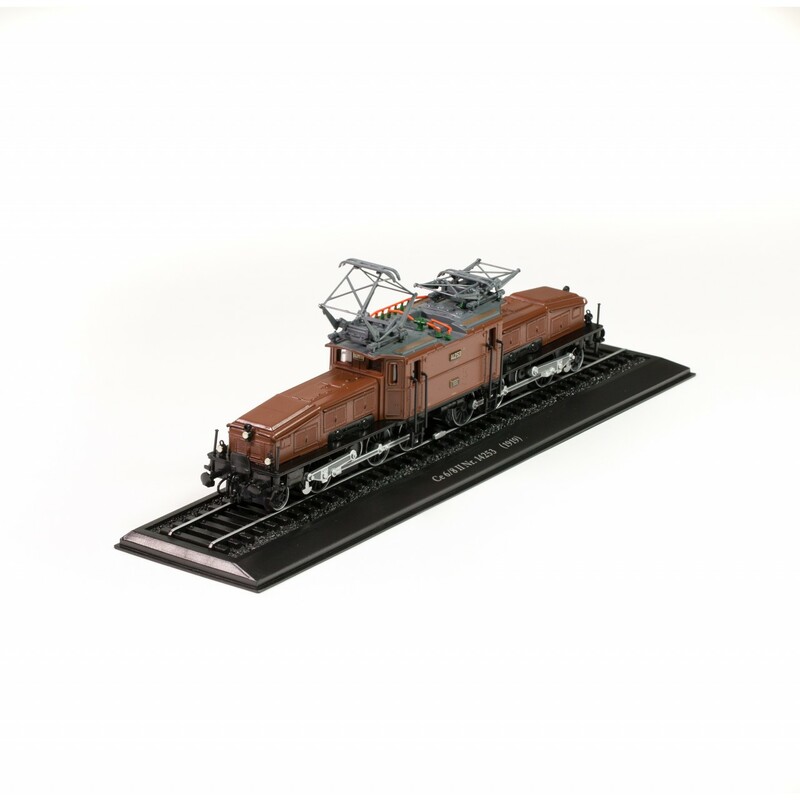 Model made of metal, H0 scale (1:87). Complete with display base with tracks, transparent display case and box. DR EG 5-22: Conceived for the Bavarian railway network, the EG 5 locomotive was designed to tow heavy freight cars. 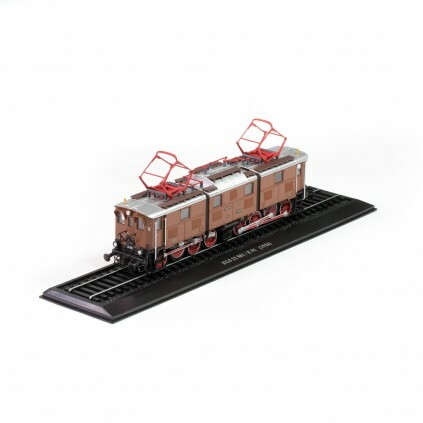 Model made of metal, H0 scale (1:87). Complete with display base with tracks, transparent display case and box. NS 1200: Manufactured under American license, the Dutch NS 1200 had six engines. 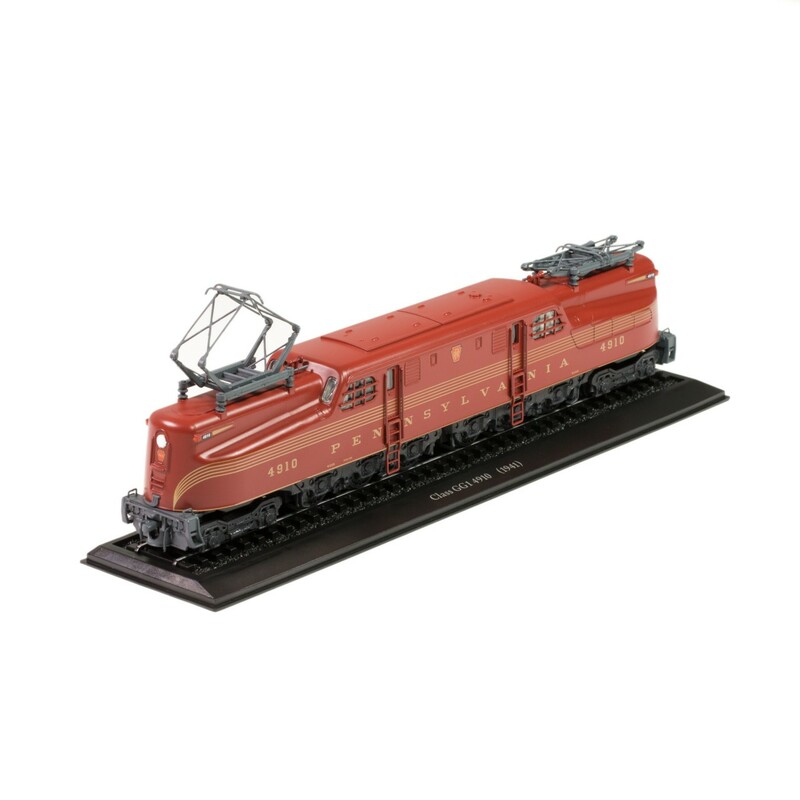 25 of these locomotives were built from 1951 to 1953. Model made of metal, H0 scale (1:87). Complete with display base with tracks, transparent display case and box. 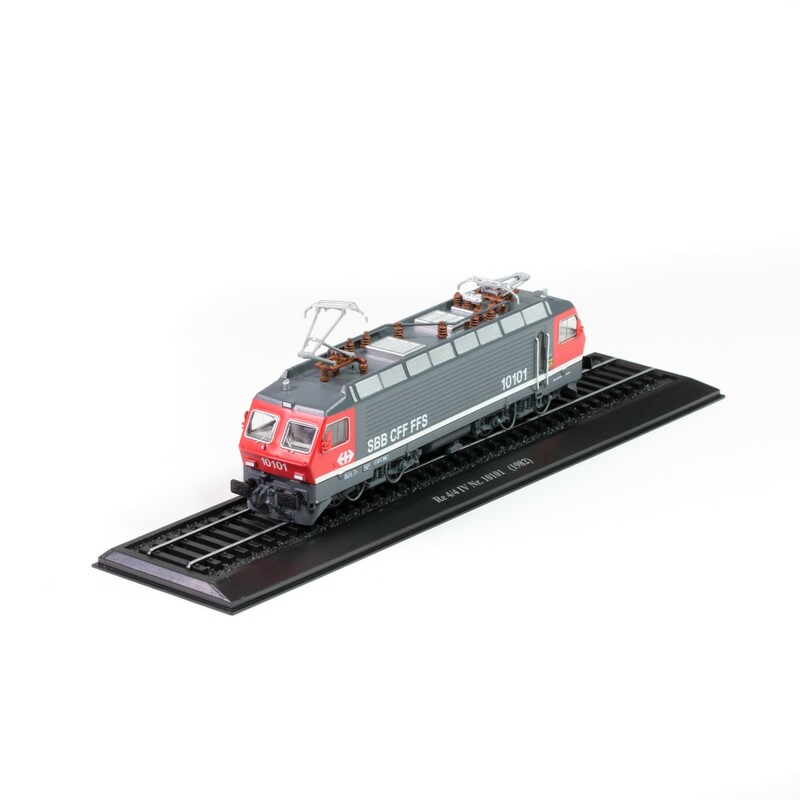 ÖBB 1012: Built in only three units for the Austrian railways, these modern four-engine locomotives were sold to a Swedish company in 2007. 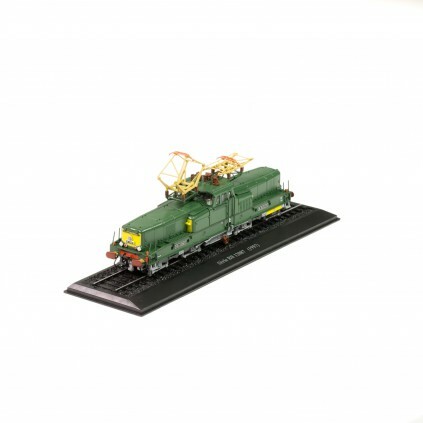 Model made of metal, H0 scale (1:87). Complete with display base with tracks, transparent display case and box. BODENSEE-TOGGENBURG BE 4/4: This small Swiss locomotive from 1931 had a number of very innovative features for the time, such as the engines integrated into the bogies, and was in service for decades. Model made of metal, H0 scale (1:87). Complete with display base with tracks, transparent display case and box. ÖBB 1042: Locomotive with four axles and two bogies, the 1042 was for decades the standard locomotive of the Austrian railways. In all, 257 units were built. Model made of metal, H0 scale (1:87). Complete with display base with tracks, transparent display case and box. SBB EE 3/3 HALBSCHUH: Known as the “Halbschuh” (“low shoe”) due to its shape, the EE 3/3 from 1928 was the first Swiss electric shunting locomotive. Model made of metal, H0 scale (1:87). Complete with display base with tracks, transparent display case and box. 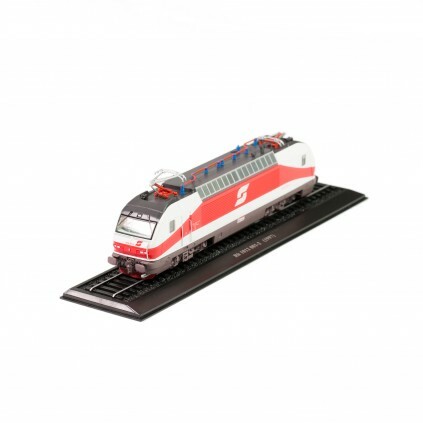 SBB RE 4/4 IV: The Swiss Re 4/4 fourth series is a modern locomotive produced from 1982. Only four units were ever built. Model made of metal, H0 scale (1:87). Complete with display base with tracks, transparent display case and box. SJ RC-3: A highly successful locomotive, over 30 units of the Swedish RC-3 were built. It has a maximum speed of 160 km/h. Model made of metal, H0 scale (1:87). Complete with display base with tracks, transparent display case and box. SNCF BB-12000: The first French single-phase locomotive, it featured a very comfortable central cabin from which to drive the locomotive in both directions. Model made of metal, H0 scale (1:87). Complete with display base with tracks, transparent display case and box. DB E 10.12: The German locomotives in the 10.12 series were designed for the Rheingold train. They featured a special blue and cream coloring and could reach 160 km/h. Model made of metal, H0 scale (1:87). Complete with display base with tracks, transparent display case and box. 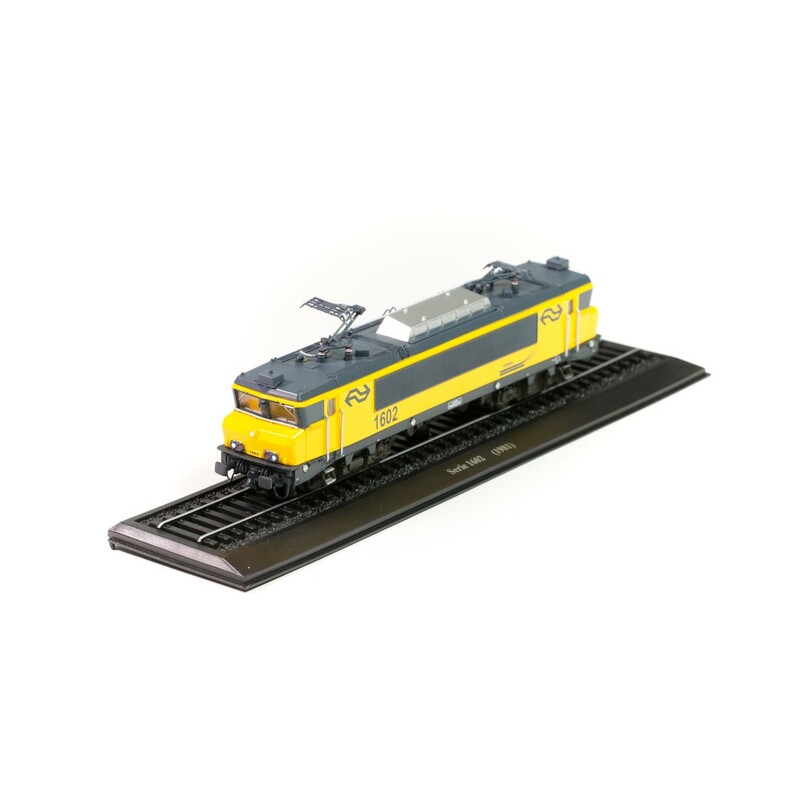 NS 1600-1700-1800: Powerful Dutch twin-motor locomotives, taking inspiration from French models with a forward sloping nose. Model made of metal, H0 scale (1:87). 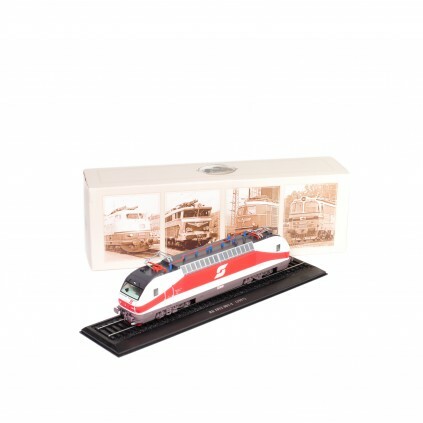 Complete with display base with tracks, transparent display case and box.